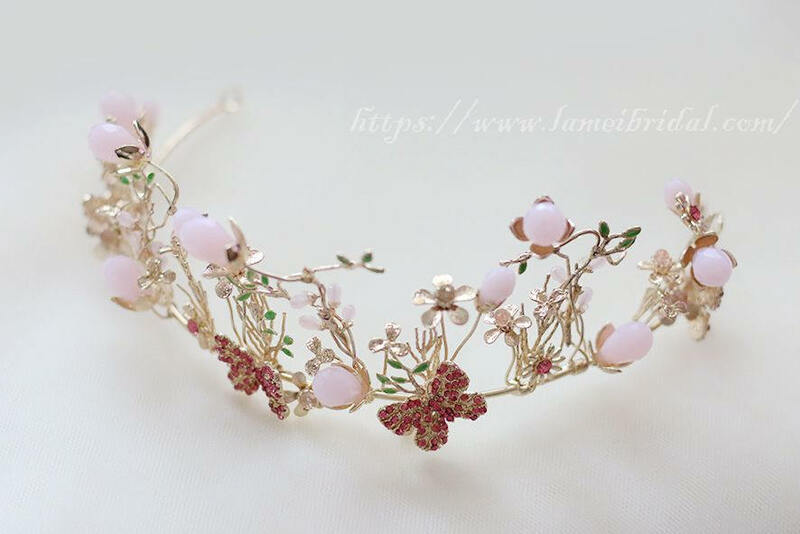 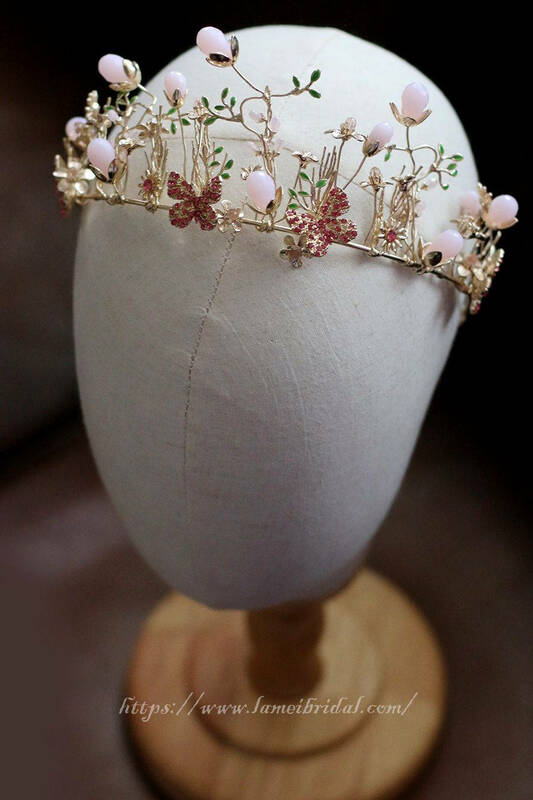 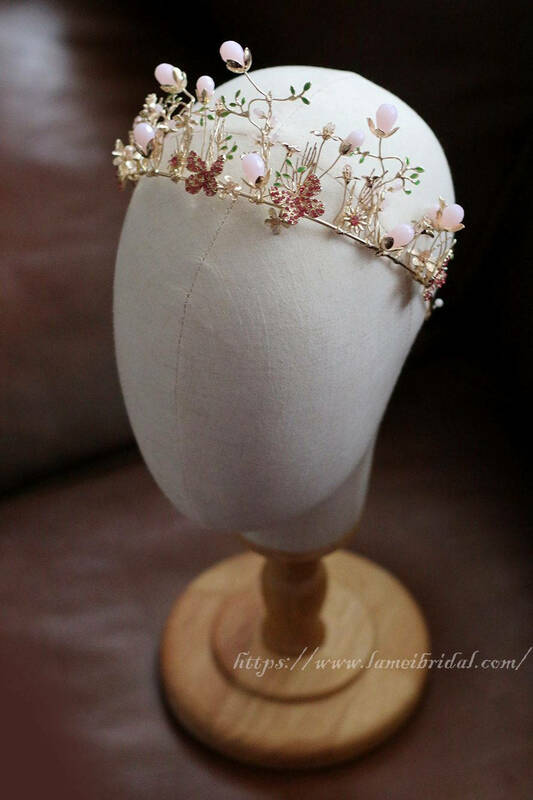 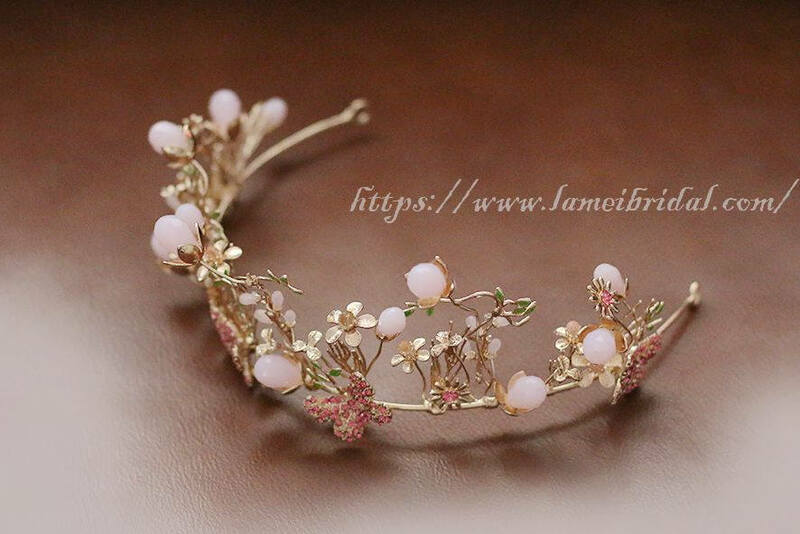 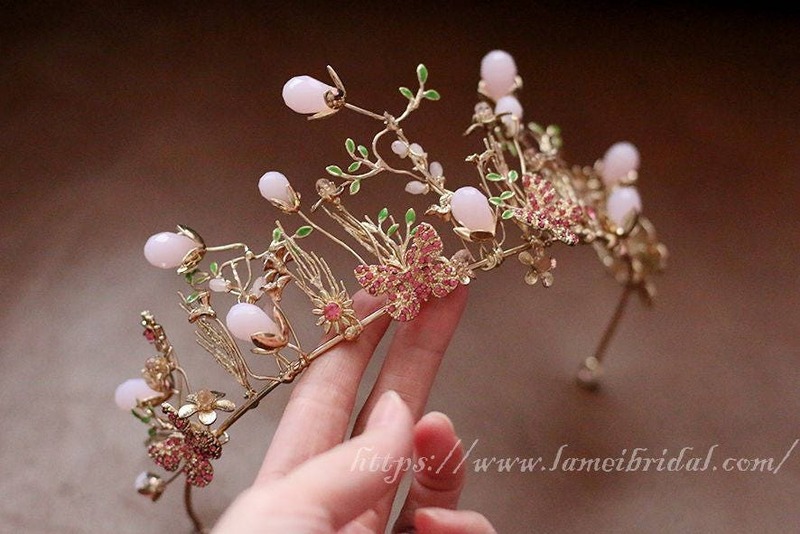 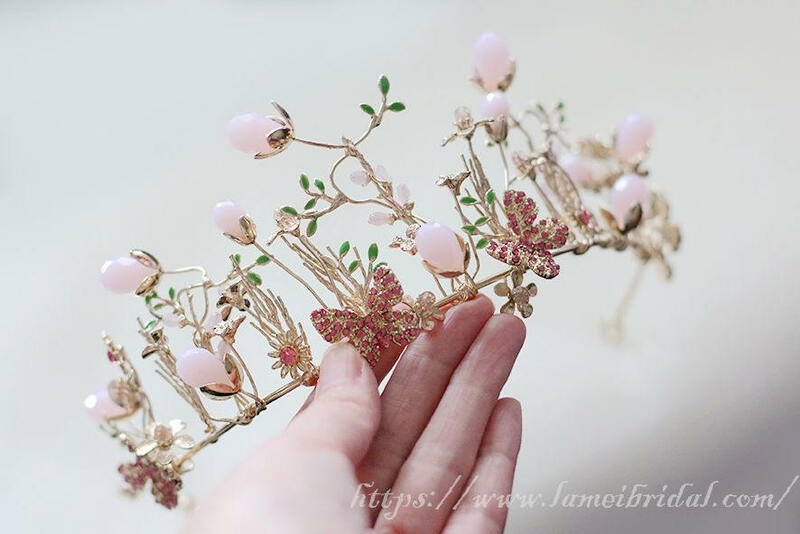 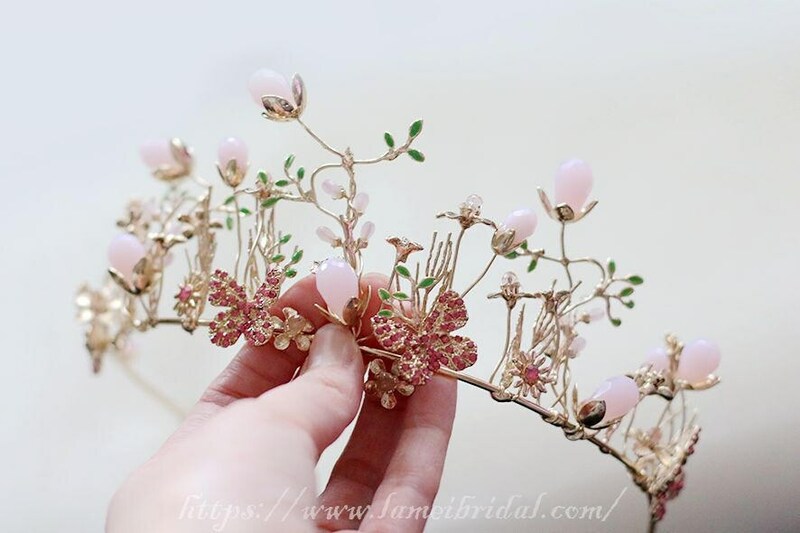 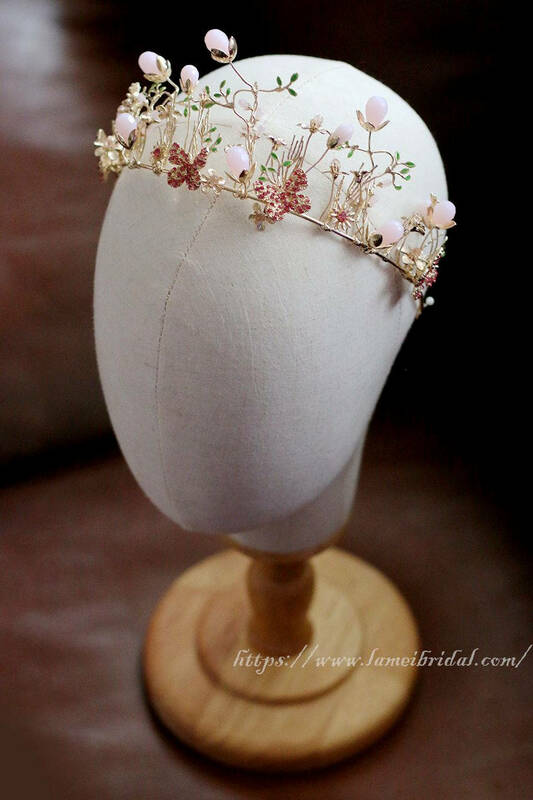 This beautiful Rose gold boho wire flower hair crown, hair vine is a lovely finishing touch for the boho chic bride. 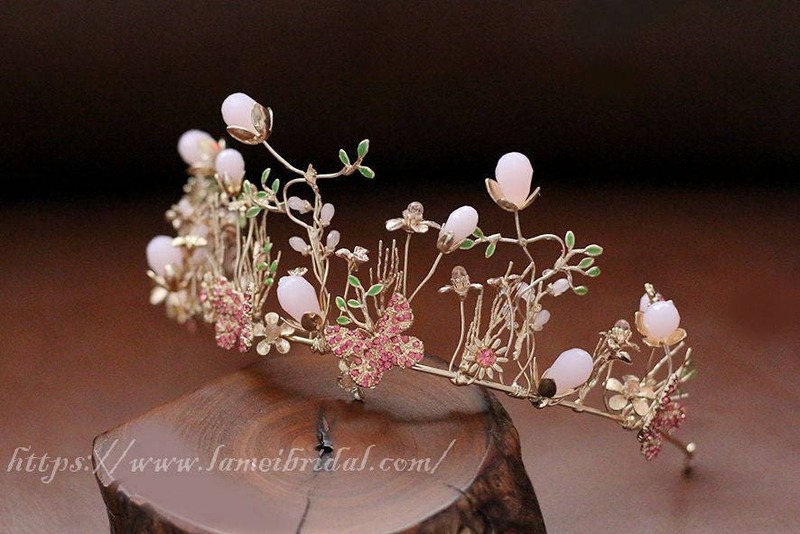 Clusters of white handcrafted flowers are mixed with seed pearls, crystals, hancrafted leaves and flowers. 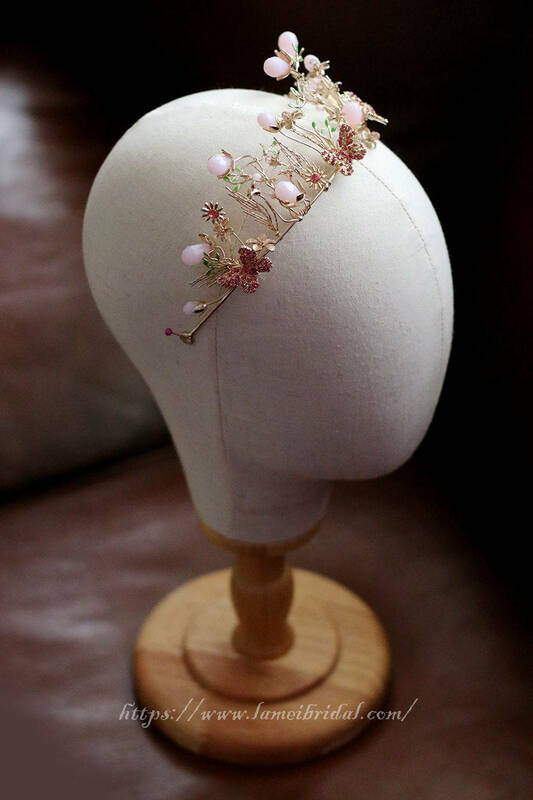 This beautiful halo, hair vine can be worn many ways - see below.